KATHMANDU, Jan 29: Doctors and health workers across the country are planning to halt all hospital services except for emergency if the government does not immediately address the demands of Dr Govinda KC, who has been on a hunger strike since January 9 demanding crucial reforms in the medical education sector. On the 20th day of his fast-unto-death on Monday, the Nepal Medical Association (NMA), the professional organization of doctors, began a relay hunger strike across the country to pressure the government into addressing Dr KC's demands. Doctors in the Kathmandu Valley gathered on the premises of the TU Teaching Hospital, Maharajgunj and staged a relay hunger strike while doctors in the districts outside the valley also staged hunger strikes at the respective NMA chapters. However, the government deployed hired persons with national flags at different government hospitals to foil their protests on Monday, according to NMA officials. “That was a misuse of national flag and of the right to protest,” said Dr Mukti Ram Shrestha, president of the NMA. “We will stage relay hunger strike for two days across the country. If the government does not take any initiative to address Dr KC's demands by Tuesday, then we will stop all hospital services except for emergency,” said Dr Shrestha. On Monday, services at the hospitals across the country were partially affected. Minister for Science and Technology Giriraj Mani Pokharel, who tabled the National Medical Education Bill at the National Assembly of upper house on Monday, said that Dr KC does not need to stage protest against the decision made by parliament. “I request him to embrace the achievements of the National Medical Education Bill,” he claimed. Various groups including the Nepal Students Union, student wing of the Nepali Congress, staged demonstrations on Monday asking the government to implement the July 26, 2018 agreement signed with Dr KC and end the hunger strike. 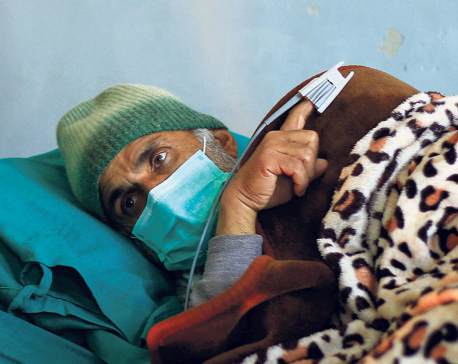 As Dr Govinda KC’s fast-unto-death protest against some of the provisions of the recently endorsed National Medical Education Bill entered the 20th day on Monday, the health condition of the medical reforms crusader has further worsened. 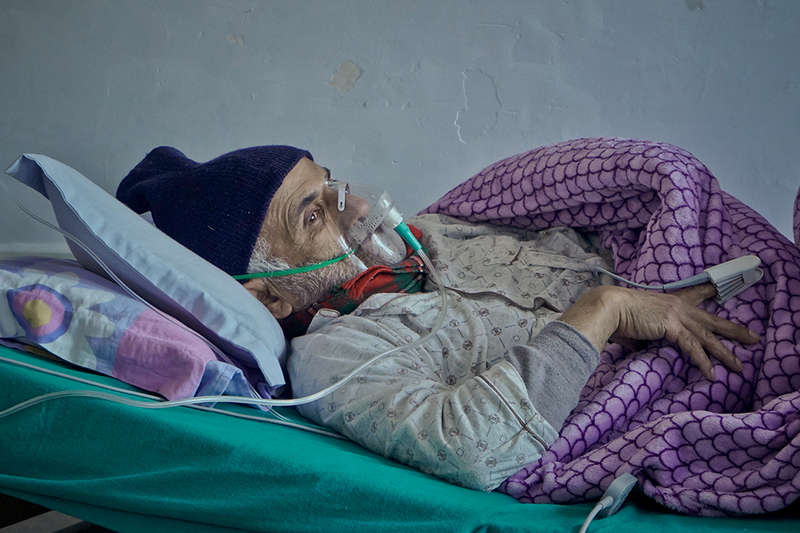 Since the government and the agitating Dr KC have both shown no sign of budging from their stances, there is concern that his life could be in peril. While the government side has maintained that Dr KC has to respect parliamentary supremacy, supporters of Dr KC argue that the government betrayed them when it flouted agreements reached with them in the past. As the fast-unto-death is set to continue and the government keeps showing apathy, legal experts have begun suggesting to both sides to find an amicable solution. 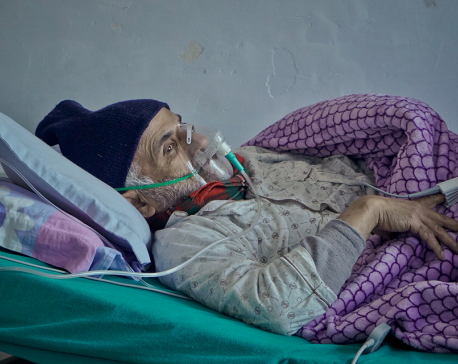 The experts say the onus lies with the government to help end Dr KC’s fast through some positive gestures. “The government is not showing any gesture toward settling the ongoing impasse. The kind of behavior and utterances by those in government only show that they are not for settling this amicably,” argued advocate Bipin Adhikari. Adhikari argued that the government should talk to KC’s supporters to discuss ways to address those of his demands that were not incorporated in the bill while at the same time trying to persuade them to institutionalize the gains already made through the bill. “There is still a chance to amend the bill in line with the agreement reached with Dr KC in the past,” he further said. The legal experts fault the government for flouting past agreements and then not even trying to create an environment for reaching a fresh agreement with Dr KC. They argue that the prime minister’s remark that the agreement with Dr KC was reached under different circumstances only erodes the stature of the prime minister.